A modern touch! 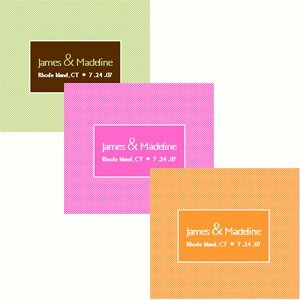 For the contemporary couple, our simple yet sophisticated adhesive custom wedding stickers add a personalized statement to favors, programs, or thank-you cards. 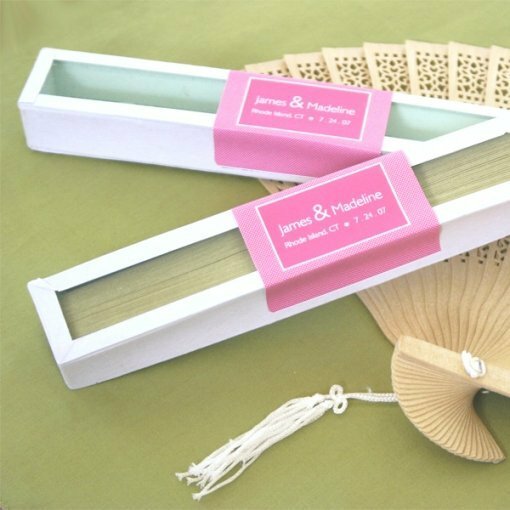 This sleek design comes in a variety of colors and is customized with your names, location and event date. Make any item more personal with these trendy stickers. Label size: 2.5" x 2.75". Sold in sets of 8 stickers.